Sunset Pergola Kits include the cost of shipping and delivery fees. See below for a complete description of these services. Sunset Pergola Kits reserves the right to contract out any courier partner of our choice to ship your order. You will be notified when your pergola kit ships from our facility via email or phone call. Typically we use standard ground rates and the actual shipping lead time is approximately 7 business days. You will be expected to accept the delivery. If our courier is unable to complete the delivery of your pergola kit, a notice will be left stating that a delivery has been attempted. On the second business day, and if necessary on the third business day, the courier will attempt to deliver the pergola kit without additional charge. However, if the courier is unable to make delivery a service charge may be applied to your account. During delivery, we advise that you inspect the package prior to accepting it. If damage is noticeable, please mark the word “damaged” on shipping document “Delivery Receipt” before you sign it. You may choose to decline the shipment and arrangements will be made to rectify the situation. If damage is severe, Sunset Pergolas will initiate a freight claim with the courier. In the case of severe freight damage, you will be issued a full refund and arrangements will be made to reship your order if you wish. These are Sunset Pergola Kits that are delivered by semi-trailer truck or similar type vehicle and offloaded by the Purchaser. A complete description of how the freight is delivered and what will be required by the purchaser is listed below. 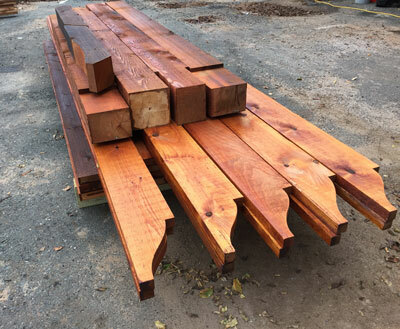 Sunset Pergola Kits will be delivered to or as close to the Purchasers property line and or driveway provided the location is deemed accessible by the delivering carrier. It is the Purchasers responsibility to inform Sunset Pergolas at time of purchase of any unusual or difficult location or delivery issues so necessary arrangements may be made with the delivering carrier where possible. Purchasers may incur additional shipping costs depending on the Purchasers specific situation. The delivering freight carrier is not obligated to assist the Purchaser with unloading of freight. Purchaser will be expected to cut metal strapping securing product to the pallet, therefore the use of wire cutters is required. It is strongly recommended that the Purchaser have at least two assistants to help offload freight from the truck. Purchasers should be aware that although total freight could be over 3000 lbs., units will be offloaded one piece at a time with individual pieces and components ranging between 1-100 lbs. that should be manageable in most situations. Purchaser will be given a reasonable time frame to unload freight from the delivering freight carrier vehicle, ranging between 10-30 minutes. Purchaser agrees to accept all financial responsibility for demurrage and rerouting costs if the ship-to location is changed after the product is shipped from our premises. arrangements. Any deviations to prearranged shipping methods will result in additional costs being billed to the Purchaser. In most cases, the delivering carrier will bill the purchaser directly for any additional charges, however in certain situations where it may not be possible or realistic for the delivering carrier to do so, Sunset Pergolas will re- invoice or bill your account for any additional freight charges which have been incurred. Purchaser must inspect the Sunset Pergola Kit prior to unloading and document any damage prior to signing the Shipping Document “BILL OF LADING” or “DELIVERY RECEIPT” provided by the delivering carrier. Please ensure that you mark “DAMAGED” on these documents before signing for the delivery. Failure to document any such damage may result in delays in resolving any possible freight damage claims and/or delays in rectifying any problems encountered regarding freight damage mitigation. Sunset Pergola Kits does not accept returns due to bowing, warping, etc., over the course of time. Sunset Pergola Kits offers something Different! Watch our video and see how easy our system is! "Southern Comfort Watertight Pergola" is our #1 Seller. We give you everything you need to build your watertight pergola kit in one day, right out of the box! Call us or email us with any questions. We have an A+ Rating with the Better Business Bureau, because we put the customer first!